The American River College Pride Center held its first back to school fall kickoff Aug. 29. Prior to starting the event festivities, Student Personnel Assistant Alejandra Fernandez Garcia and Pride Center Coordinator Emilie Mitchell gave a short introduction and information on upcoming events. The event was all-inclusive; people from all walks of life and age groups attended. It was held behind the Pride Center in a community room. The event began with a campus tour. “This [tour] is going to highlight the gender inclusive restrooms in the Student Center [along] with all of the programs available for students. The tour will be given by our SAGE (Student Leadership) Jasmine,” Fernandez Garcia said. People who didn’t go on the tour stayed to enjoy refreshments, socialize, ask questions about services, and even paint nails. After the tour, everyone reconvened in Community Room Three. Students and guests painted nails, sponsored by the former president of FIERCE Jenna Grossman and participated in a karaoke session. Some participants in the karaoke session sang ballads, others sang quirky tunes and current hits. Lee Petersen, a communications major who participated in karaoke, sang, “My Sharona,” with fun and ease. The audience members sang along. This event was for new and returning LGBTQ+ students who needed to ask questions about what the Pride Center is, where it is, and how to become involved in the different groups on campus. The Pride Center is located inside the HUB at the Student Center. Madam Sasscrotch ended the event by hosting drag queen bingo and a performance. Student meetings will start Sept.10. Transcendence will be Tuesdays from noon to 1 p.m.
“Transcendence is for folx who identify along the trans spectrum as transgender, non-binary, gender queer, gender fluid, gender creative, etc,” Fernandez Garcia wrote in an email to the Current. Queer and Trans People of Color will be Wednesday from noon to 1pm. FIERCE will also be on Wednesday from 1p.m. to 2p.m. Student meetings are located in the pipeline meeting room in the HUB. FIERCE is a LGBTA (Lesbian, Gay, Bisexual, Transgender, and Ally,) student organization promoting sexual orientation and identity issues, also sexual awareness and health, and encourages campus wide diversity by having events and advocating. 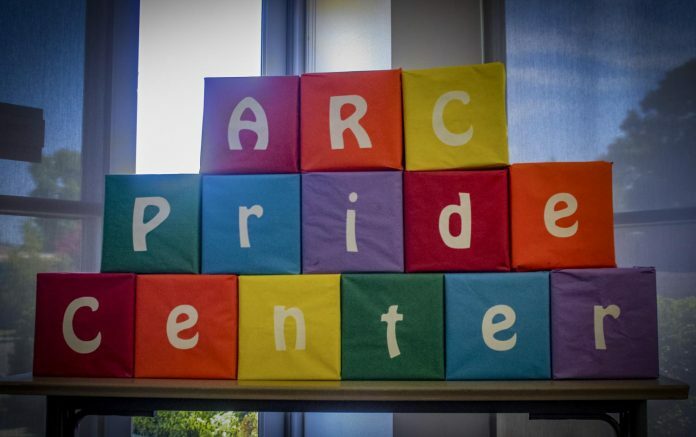 The Pride Center has a fall calendar with events and plans for the semester, LGBTQ+ members and allies, the Pride Center is doing a lot on the ARC campus, and even in the community. Some calendar events include, National Coming Out Day in October, Trans Day of Remembrance in November, and Eight Minutes of Silence which is in December. The final dates are not yet posted. Be the first to comment on "Pride Center kicks off with drag queen bingo"